The Sparrowhawk has to be one of the UK's most familiar raptors, regularly appearing in gardens to take a quick pop at songbirds feeding on garden feeders. 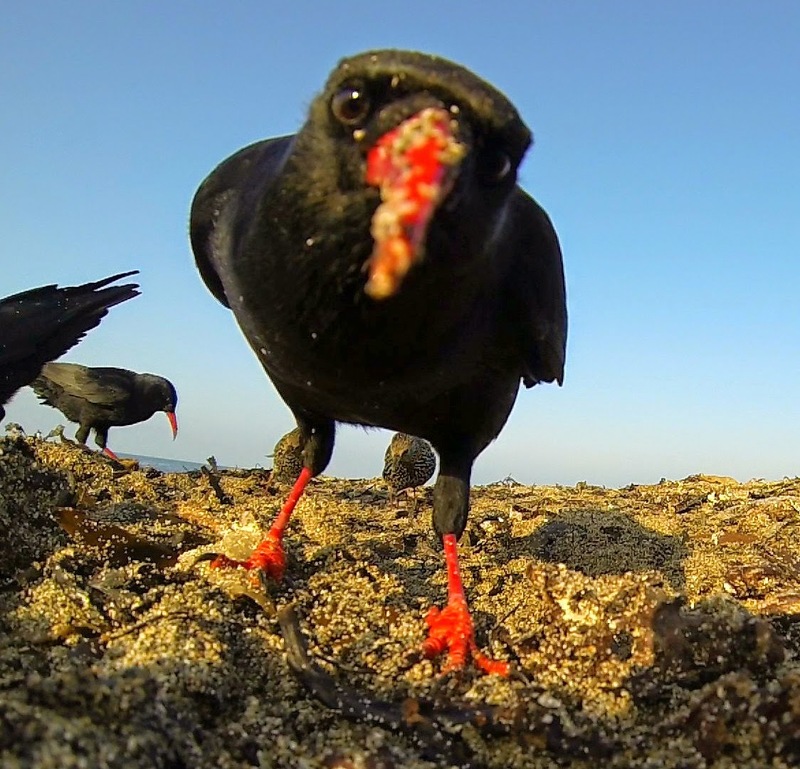 They are apex predators, with the ultimate edge combination of speed, agility, lethal talons and sharp eyesight. 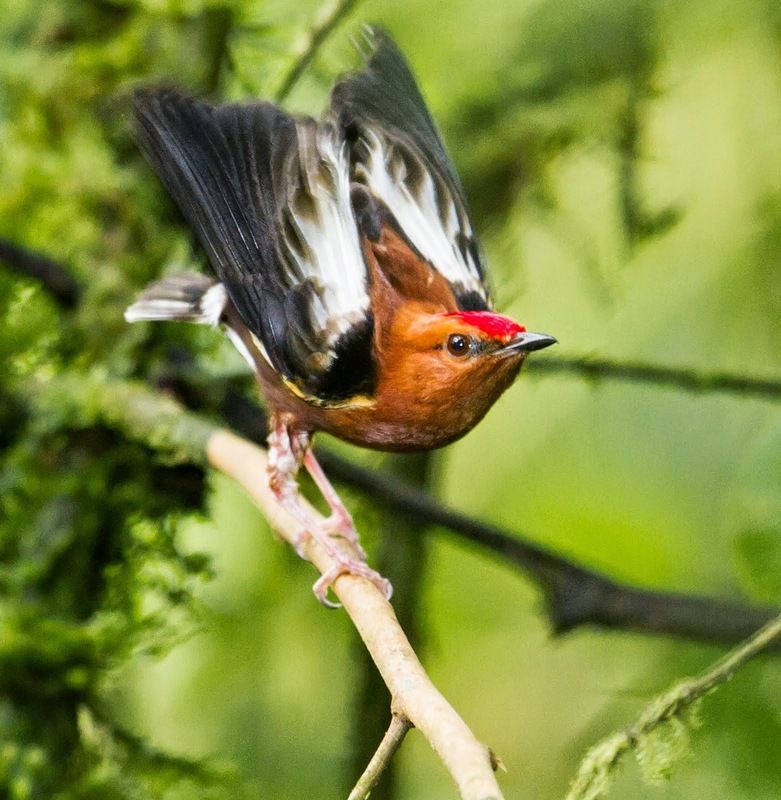 They use this combination to launch surprise attacks on unsuspecting songbirds in woodland habitats, keeping a low profile and using stealthy tactics to dash out at their prey. 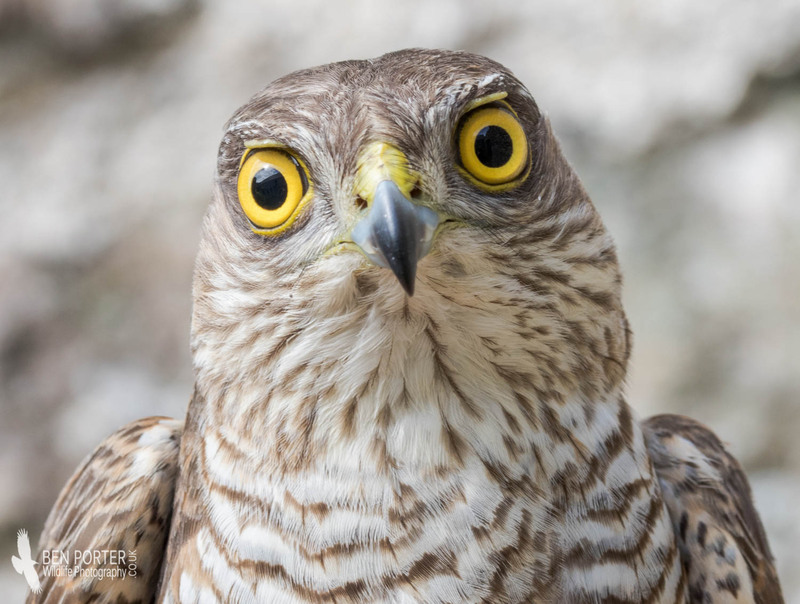 Like most species of raptors, Sparrowhawks exhibit sexual dimorphism, with the female being significantly larger than males: typical weights are around 150g in males and 300g in a females. This difference in size provides a number of advantages, for : example enabling a greater size range of prey to be utilised in any giver territory. 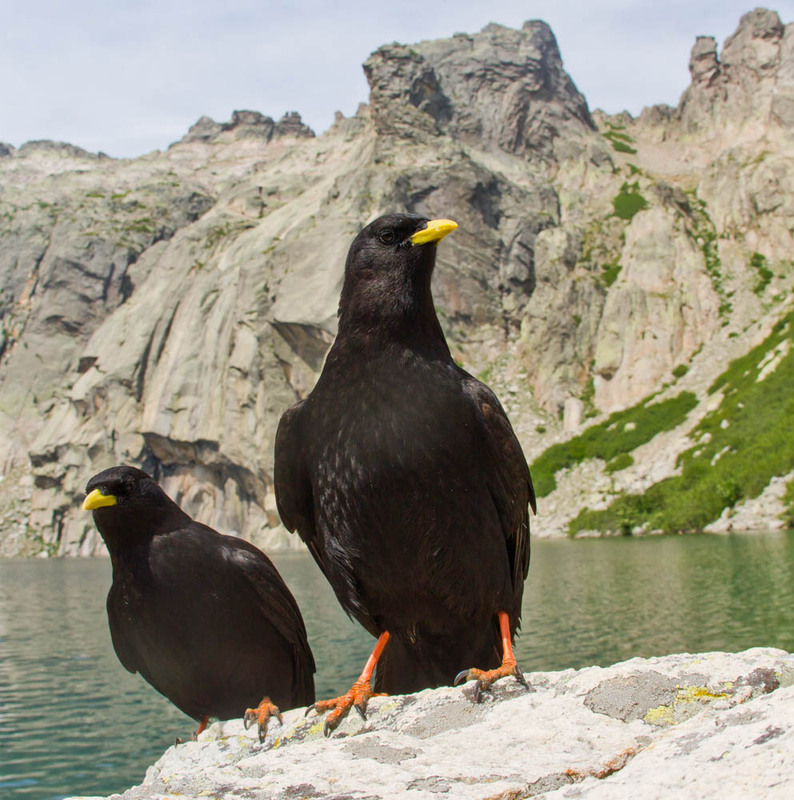 During the breeding season, when the female spends a good month or so incubating the eggs, the male's smaller size is better suited to weaving in and out of foliage and trees to secure a regular supply of small passerines to feed the female. 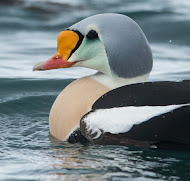 However, the female is able to take down larger prey once released from incubation, providing a more wholesome meal for developing chicks. 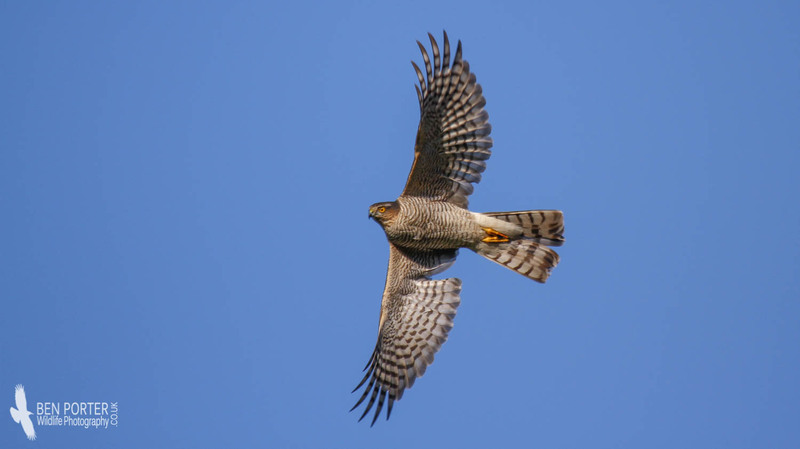 Sparrowhawks are extremely well distributed across the northern hemisphere, occurring in a broad band from western Europe through to east Asia. 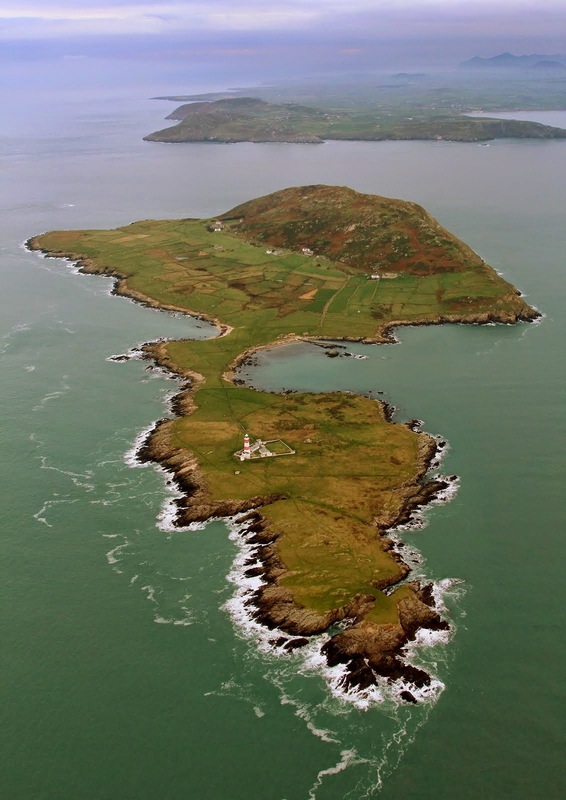 This range (see a map here) takes in a total of six different subspecies, although the European Sparrowhawk is the predominant form in this area of the globe; some interesting subspecies are restricted to islands such as Sardinia and Corsica in the mediterranean, and the Canary and Madeira islands in the north Atlantic. 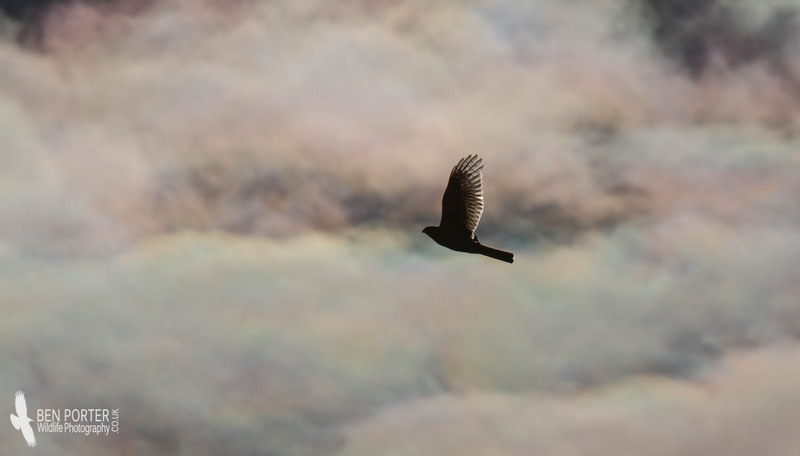 Although a common sight across the UK now, this species was amongst several birds of prey that suffered from the effects of heavy pesticide use in the early 1900s. The thinning of egg shells - amongst other factors - caused a significant population decline that resulted in their disappearance from many areas in the country (like eastern England). Thankfully the responsible pesticides were banned in the 1960s, leading to a steady recovery to a population of around 32, 000 at current. 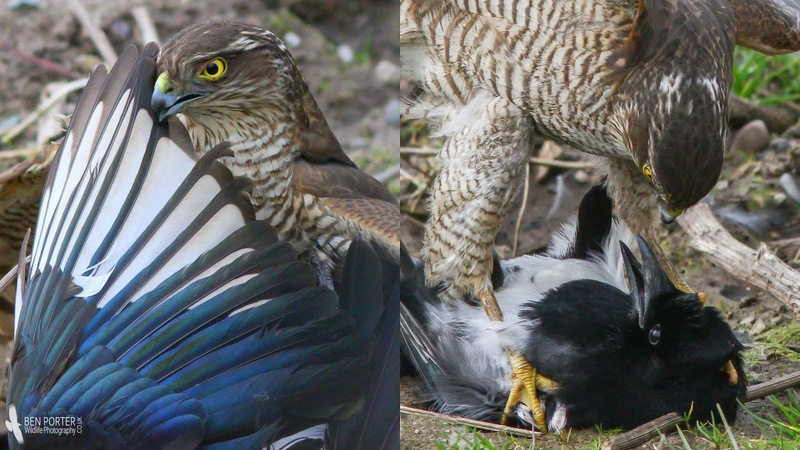 I was lucky enough to witness this dramatic struggle between a female Sparrowhawk and Magpie a couple of years ago, which lasted a good 40 minutes. 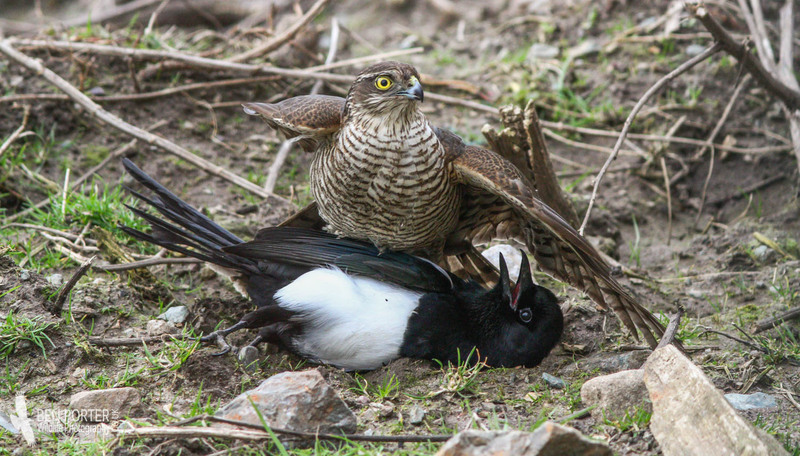 Ultimately the magpie met its fate, but it didn't leave without a good fight!